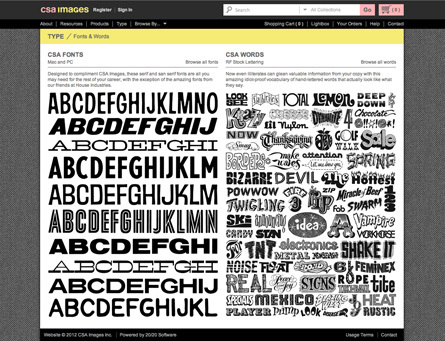 csaimages.com contains 40,000 finished illustrations and design elements created and edited from a base of over 10 million, representing over three decades worth of work. 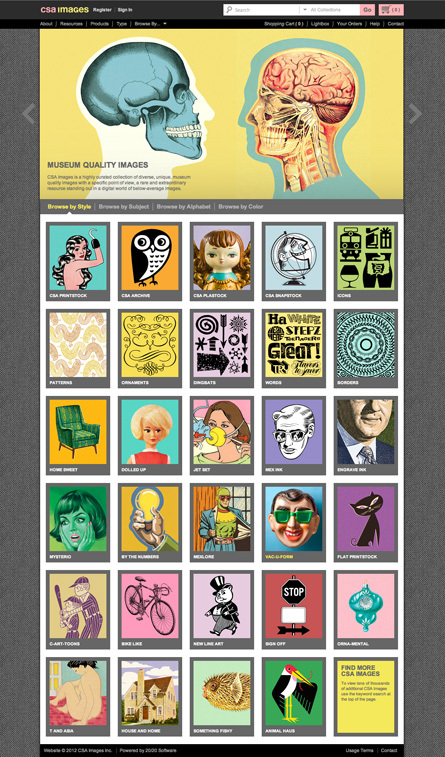 The website functions as an incredibly intuitive browser that lets you search images visually or by using keywords. 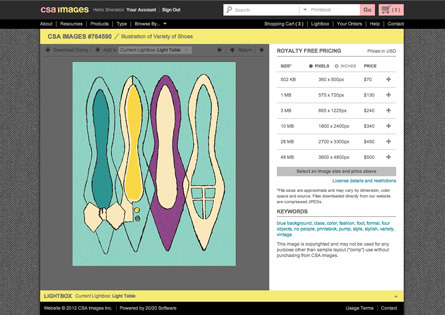 The site also facilitates the purchase and download of hi-resolution artwork to art directors and designers worldwide. "I am delighted that you are going to make screen designs from the CSA website available for reproduction in the revised edition of A History of Graphic Design. This will permit documentation of the more recent evolution of your work, while showing the involvement in web design, product design, and the new form and color approaches. My efforts, as a design educator, to document the evolution of the graphic design field have only been possible as a result of the generous help of the pathfinders who created the history. Thank you very much for helping with this effort!"